Google’s history is littered with products and services that seemed like good ideas at the time but never panned out. In recent years, the company has started killing off some of these services that never quite caught on, and this year, it’s Helpouts’ turn. According to the company, it will end its Helpouts service on April 20th. Helpouts is an “ask an expert” service where you can pay for lessons or instruction from experts over Google Hangouts for a fee. For instance, $25 gets you a 30-minute “learn to sing” session, while you can pay $15 for a 15-minute tutorial on how to fix your own plumbing. In this case, though, you can take it with you: Between April 20 and November 1, your Helpouts session history will be available for download through Google Takeout, the company’s data export service. 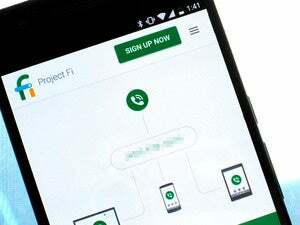 The concept behind Google Helpouts will live on, though: The company is experimenting with a new service that lets you chat with a Google product expert over Hangouts as you shop for a phone or tablet through Google Play. Along the same lines, Google is also reportedly looking into offering virtual tech support in retail outlets.